We are very excited about Collegium and believe strongly in our mission. Having been involved with many organisations between us and having been to events such as the World Economic Forum at Davos we really feel that there is a urgent need for an organisation such as Collegium that focuses on recognising, developing, connecting and helping the most talented young people and stars of today so that they become the leaders of the future and can be as successful as they have the potential to be and make the greatest impact. 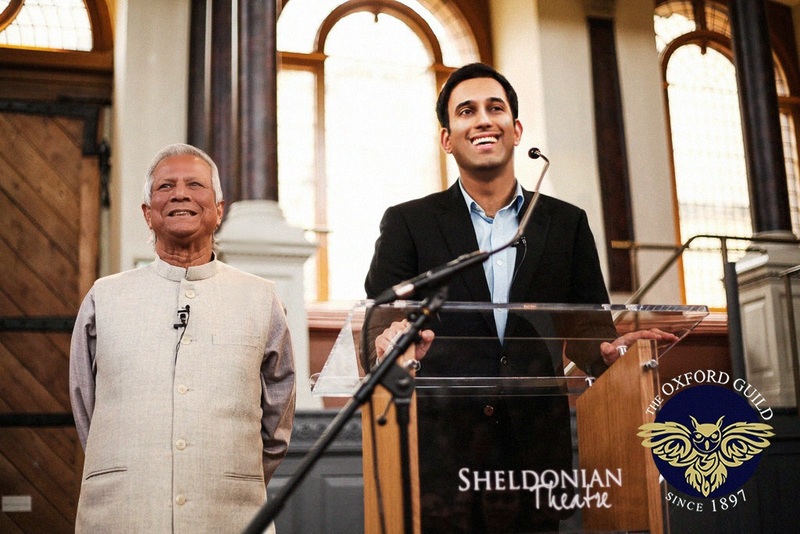 We are delighted to have Professor Muhammad Yunus, one of the most famous and most decorated Nobel Peace Prize Winners of all time, as our Honorary President. Professor Yunus is the father of both social business and microcredit, the founder of Grameen Bank, and of more than 50 other companies in Bangladesh. Fortune Magazine rightly named Professor Yunus in March 2012 as “one of the greatest entrepreneurs of our time.” In 2006, Professor Yunus and Grameen Bank were jointly awarded the Nobel Peace Prize. Professor Muhammad Yunus is the recipient of 55 honorary degrees from universities across 20 countries. He has received 112 awards from 26 countries including state honours from 10 countries. He is one of only seven individuals to have received the Nobel Peace Prize, the United States Presidential Medal of Freedom and the United States Congressional Gold Medal. Professor Yunus was chosen by Wharton School of Business as one of ‘The 25 Most influential Business Persons of the Past 25 Years’. AsiaWeek (Hong Kong) selected him as one of ‘Twenty Great Asians (1975-1995).” Ananda Bazaar Patrika (India) selected Professor Yunus as one of “Ten Great Bengalis of the Century (1900-1999).” In 2006, Time Magazine listed Professor Yunus under “60 years of Asian Heroes” as one the top 12 business leaders. In 2008, in an open online poll, Yunus was voted the 2nd topmost intellectual person in the world on the list of Top 100 Public Intellectuals by Prospect Magazine (UK) and Foreign Policy (United States). In 2010, The New Statesman (UK) listed him as one of “The World’s 50 Most Influential Figures”. Professor Yunus has endorsed our work and this is a true honour from one of the most inspirational people of all time. We love potential and admire those who want to make a mark – we recognise and accept only the very best of the best talent and shape today’s most excellent young people into the most prominent innovators, leaders and changemakers of the future. Our aim is to help our members prosper and succeed in their lives and careers and for them to better the world we live in and we work hard to provide them with the best platform from which to maximise and unleash their potential. We urge you all the watch this space!